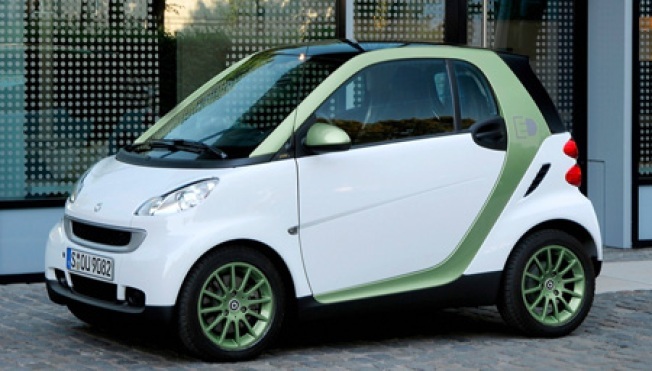 Daimler has announced that beginning in mid-November, the first electric versions of the smart fortwo will roll off the production line in Hambach, France. The zero-emission electric model features a Tesla-sourced lithium-ion battery, a 30 kW electric motor, and the ability to be charged via any household electric outlet. Daimler is promising a range of just over 70 miles per charge. For now, a few select customers in several U.S. cities will be able to lease the car for four years. This initial group of folks will "subject the environmentally friendly trendsetter to intensive real-world testing in tough everyday conditions," according to the company. From there, Daimler is planning a wide release for 2012 to anyone who wants one.